It takes many small things to make something big. 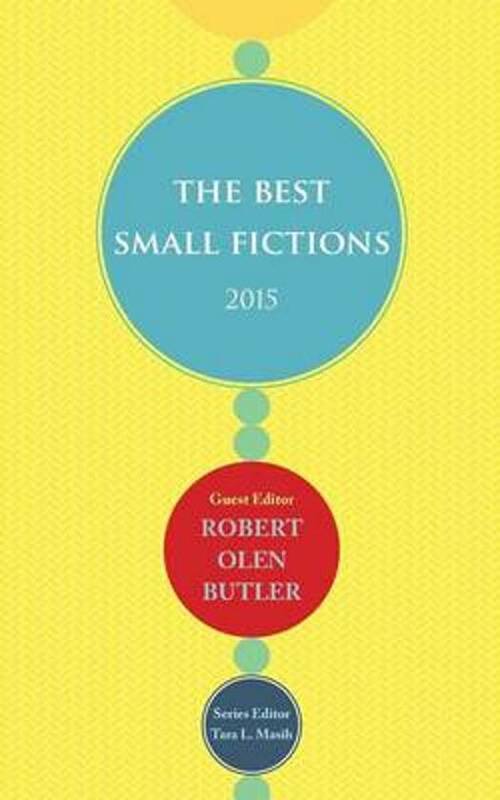 Fifty-five acclaimed and emerging writers-including Emma Bolden, Ron Carlson, Kelly Cherry, Stuart Dybek, Blake Kimzey, Roland Leach, Bobbie Ann Mason, Diane Williams, and Hiromi Kawakami-have made the debut of The Best Small Fictions 2015 something significant, something worthwhile, and something necessary. Featuring spotlights on Pleiades journal and Michael Martone, this international volume-with Pulitzer Prize-winning author Robert Olen Butler serving as guest editor and award-winning editor Tara L. Masih as series editor-is a celebration of the diversity and quality captured in fiction forms fewer than 1,000 words. Small fictions by Adam O Fallon Price, Anna Lea Jancewicz, Anya Yurchyshyn, Blake Kimzey, Bobbie Ann Mason, Brent Rydin, Casandra Lopez, Catherine Moore, Chris L. Terry, Claire Joanne Huxham, Dan Gilmore, Dan Moreau, Danielle McLaughlin, Dave Petraglia, David Mellerick Lynch, Dawn Raffel, Dee Cohen, Diane Williams, Emma Bolden, George Choundas, Hiromi Kawakami, J. Duncan Wiley, James Claffey, James Keegan, Jane Liddle, Jane Swan, Jeff Streeby, Jonathan Humphrey, Julia Strayer, Kathryn Savage, Kelly Cherry, Lauren Becker, Leesa Cross-Smith, Lindsey Drager, Lisa Marie Basile, Maureen Seaton, Michael Garriga, Michael Martone, Misty Ellingburg, Naomi Telushkin, Randall Brown, Roland Leach, Ron Carlson, Ron Riekki, Rusty Barnes, Seth Brady Tucker, Stefanie Freele, Stephen Orloske, Stuart Dybek, Valerie Vogrin, William Todd Seabrook, Yennie Cheung, Zack Bean"